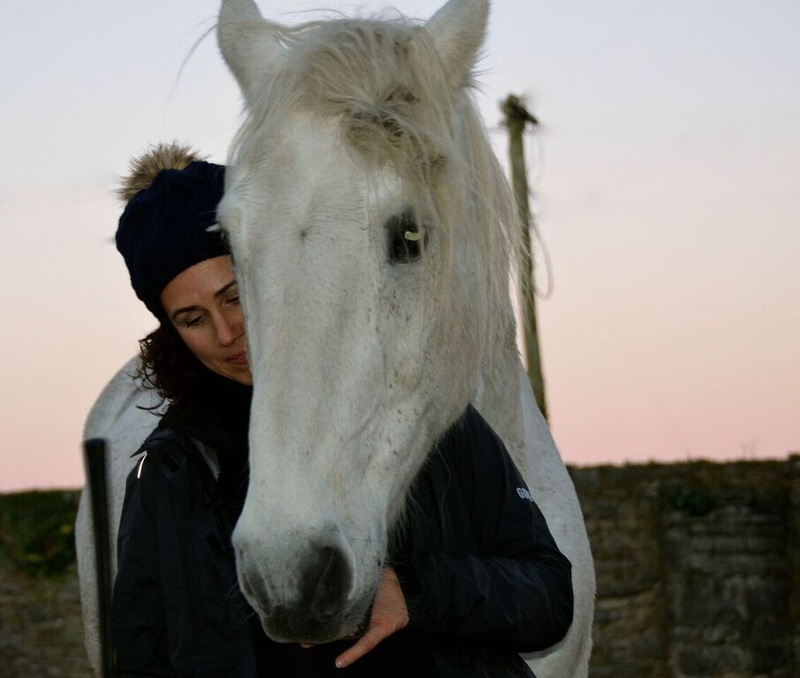 Yvonne has an incredible ability to hold a sacred space in warmth, openness and complete intuitive connection with participants and her horses. Having grown up around horses, I would have a good connection with them anyway, but I have never experienced the type of natural, non manipulative connection that Yvonne showed me. Particularly with horses, anyone who has ridden for any length of time, will affirm that the human/horse connection is a largely controlling one on the part of the human. This was a truly beautiful new perspective on allowing a natural connection to emerge – or not – as part of the process. 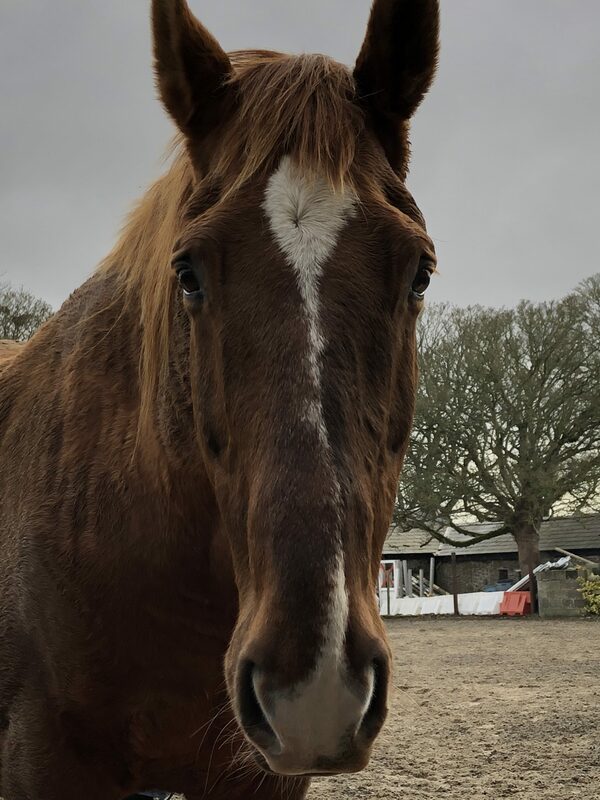 I can’t recommend Yvonne’s work highly enough to anyone who is looking to gain very personal insights from the angels that appear in horse form! And you don’t have to have had any prior experience with horses to step into this work. Amazing! Thank you for that lovely day with your amazing horses and for welcoming us to your wonderful home. And it was lovely to meet and work with the other participants. It may be cliché to use the terms but horses truly are such beautiful majestic creatures! It was a privilege to be in the presence of each and every one of them including the magnificent Marmalade and Monty and Diego the dancer! All your horses are such a happy, healthy bunch, and so inviting too! 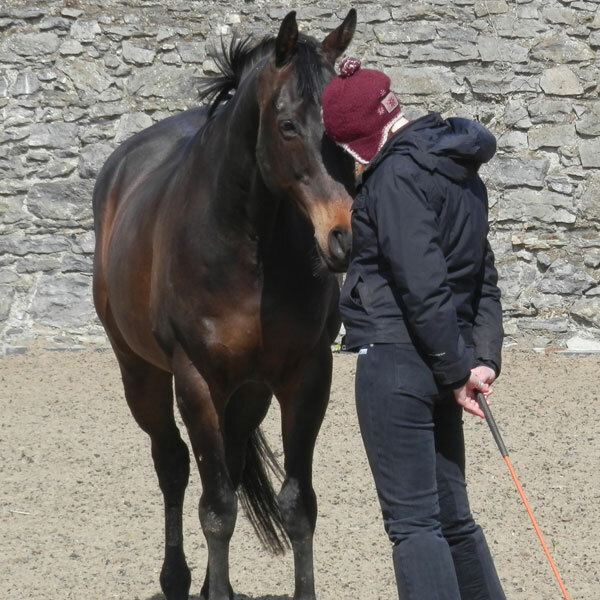 Over the last 2 years I have taken part in varied courses with Yvonne Monahan and her horses through this work of equine experiential learning. Each course or Discovery Day brings a different fun and enlightening experience with a gentle nature. The more I do, the more I learn and the more I have grown. I acquire new everyday skills and awareness that I can take away with me back to our every day existence of everyday life. Injecting new wisdom, courage and growth and bringing in better and more empowering experiences and relationships in to my daily life. I have traveled the world and lived many experiences. But now I am simply enjoying journeying inside to my soul to find my truth, healing, hope and self-love. The biggest lesson this time was Respect of others and Self-Respect. Learning about this respect has been a huge huge step in my life. 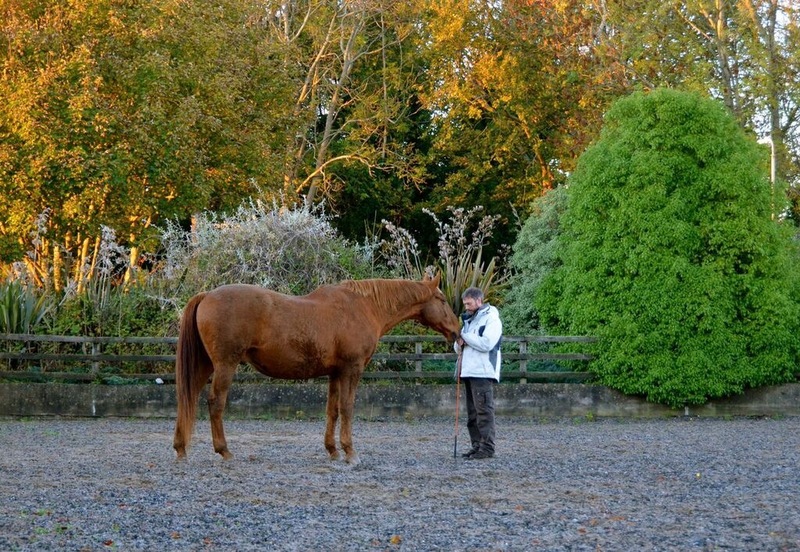 Each time I go inward I learn new things about myself, I take advantage of this sacred space with Yvonne and her horses for deep inner truths to surface which help guide me forward in my life. I feel everyone should experience at least one of these sessions as form of fun exploration. Come in open-minded and with an open heart and play with this process and I can assure you will come away with a bit more peace, compassion love for yourself and maybe even more confidence and hope for yourself in this life or stage you are going through. 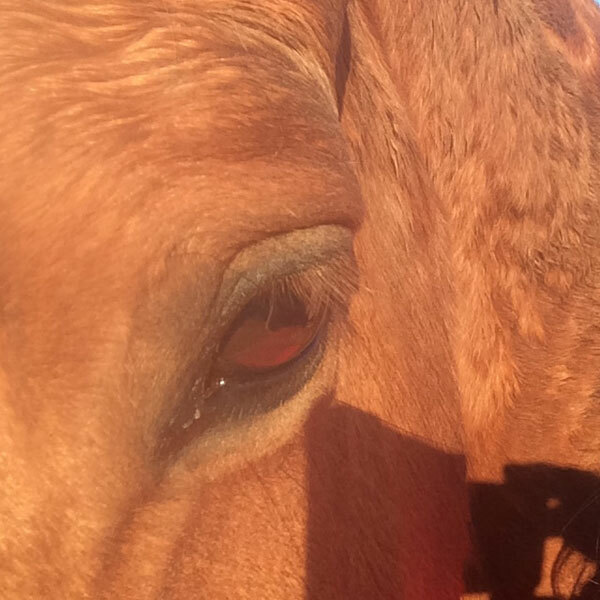 The horses are amazing in what they can help us see or heal in ourselves. The only way you will ever know this work is by doing it…So I challenge you if you are still reading this…then simply say yes to you and your life and give it a go and you will never look back!!! I so am grateful to Yvonne and the herd for sharing the Sacred Pause with us. I have had some experience with horses and mindfulness and my intention for the day was to be open. When I arrived I felt very welcome, Yvonne has a relaxed way with people and animals and it was easy to let go of the outside world and slide into the day. The body scan was revealing, and the way the body communicates was interesting. 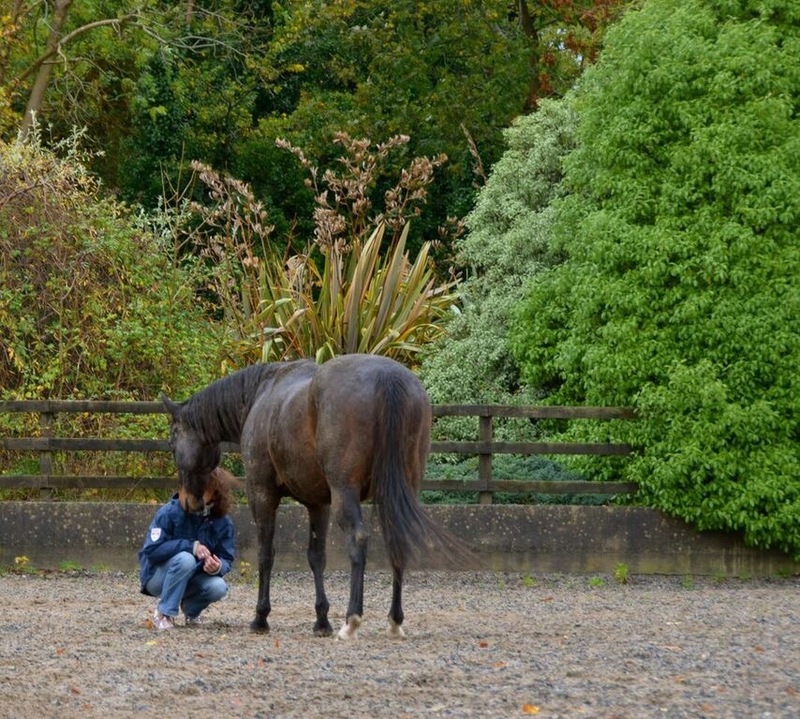 When we met the horses Yvonne taught us how to create a safe space for ourselves by setting boundaries without dominance but with clarity of intention and clear communication. It was a beautiful experience and allowed me to just be myself with the horses and vice a versa. 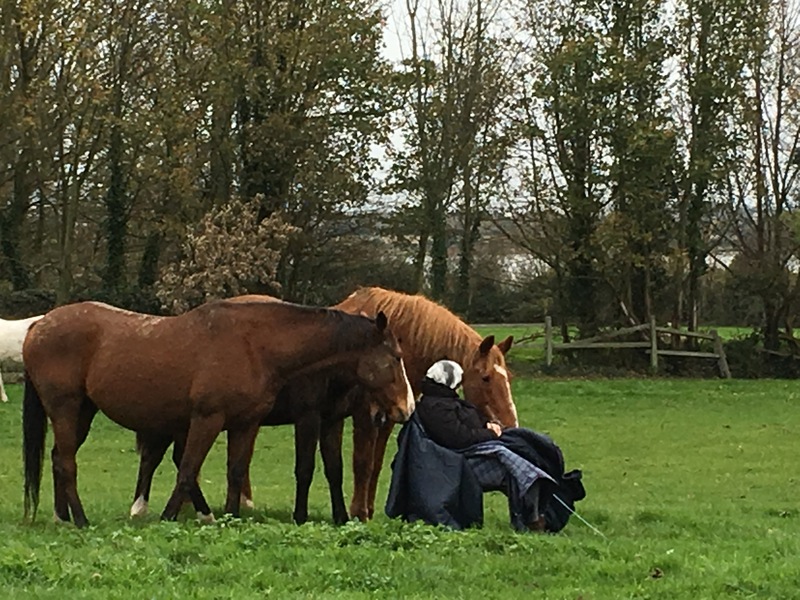 In the afternoon we sat with the horses in the field. Immediately QT and Monty came over and breathed on me, QT pushed my journal off my knee and nudged my glasses, I got the feeling he just wanted me to relax. When I set the journal back onto my knee Monty started to push it off so I set it down. Monty then began to heal the area the body scan had revealed to me. He seemed to blow things off me with his breath and set his nose on my head, neck and shoulders. He was so gentle that as I sat with my eyes closed I thought Yvonne had taken his place and was placing her hands on me but it was Monty the whole time. I sensed him lift something off me and he drew down what felt like warm sunlight into my body. He opened something that had been blocked. I was totally at ease, peaceful and connected to all. I still feel his presence and that peace at my core. I came to the day with no real expectations except felt a strong urge to try this work with horses even though there was some fear in me of these majestic animals. But as the day progressed these horses especially Monty really opened my heart and the quality of peaceful presence this brought to me was miraculous. Presence is always there but I realised I’m mostly not! Amazing teaching, I’ll be back for more…. 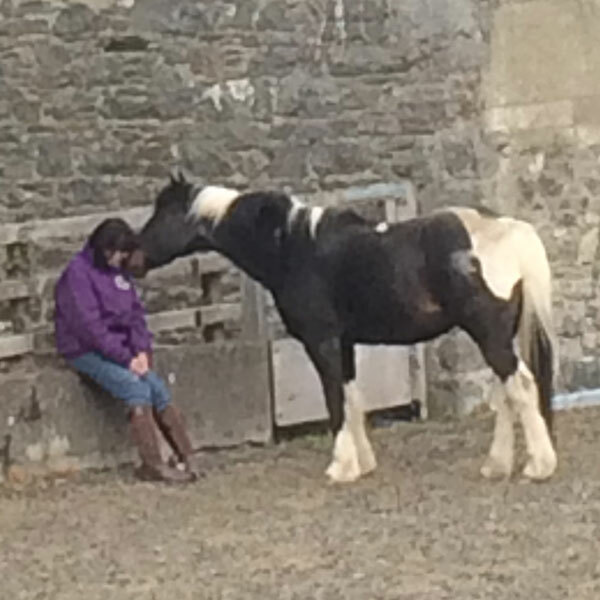 Unsure of quite what to expect, I arrived to a warm and welcoming Yvonne who made us all feel at home the moment we arrived for an Equine workshop on Relationship building. The skills learned are easily transferrable to our everyday lives. But the special part of the day for me was making those very special connections with the horses! Connecting with them on a level where you feel like your energy is one, is fantastic. I took away skills that I continue to practice which help me be in the moment and breathe through stressful situations. I highly recommend Yvonne and the work she does. You won’t regret a day at Human Horse Harmony. It’s money well spent and you’ll meet like minded people on this journey. This was a special day in the company of horses and some like -minded people. 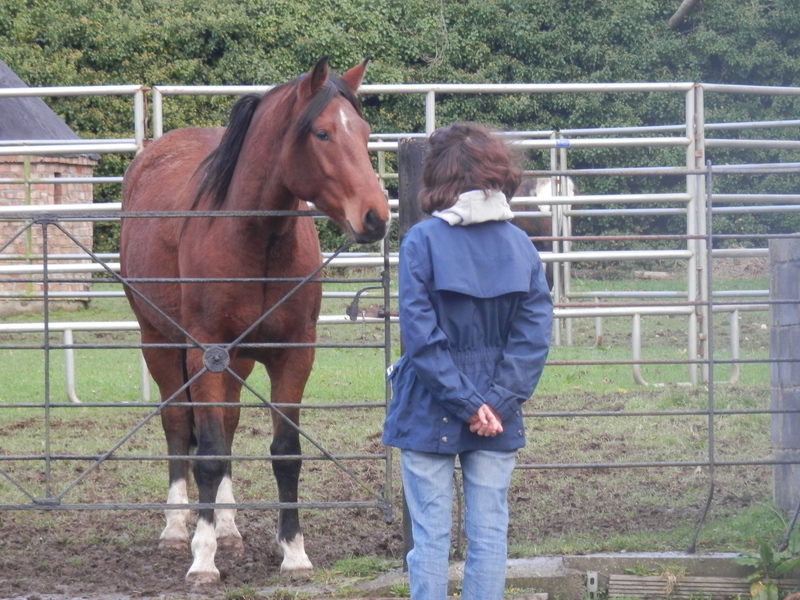 One aspect was the group reflections on human relationships and our experiences with the horses, facilitated by Yvonne. 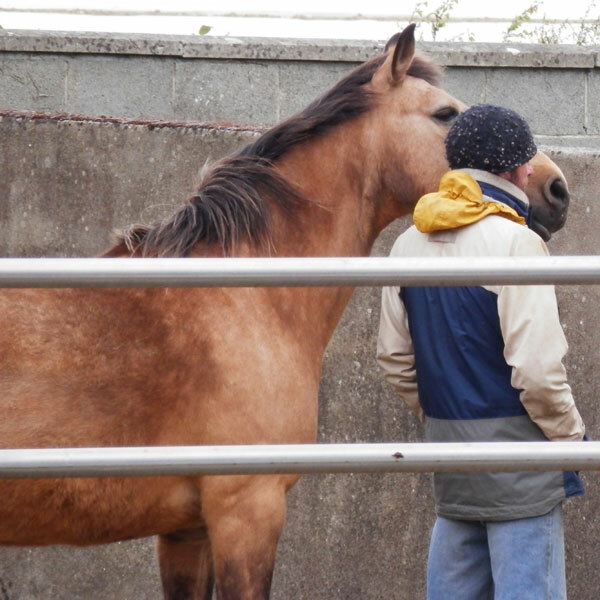 The second aspect was the exercises with the horses which involved the experience of silent companionship with the horses and later learning to use boundaries, through direct interaction with the horses. The intelligence of these creatures and their gentle collaboration was an enlightenment to the group. I would recommend this course widely: It would be relevant to those simply looking for some ‘time out’ , alongside those looking for genuine personal development. It is a unique and enriching experience. “I have been brought up with horses but only now realise how connected I am with them and vice versa. The tuition at this Discovery Day was easy as it was excellent. June 25th 2016 Hearts Desire Discovery Day. Overall it was such a powerful and empowering day for me. The process of the day was homely, simple, gentle and lots of fun through our exploration. My heart was so shut down from the truth of my true burning desire. It was obviously safer if I didn’t admit it to myself but through the process of the heart desire exercise I finally unlocked the closet I had trapped myself in from my childhood traumas. I finally truly listened to and acknowledged my heart. The relief I felt was amazing and I was safe…. and free. Now I can finally take steps forward in my life, to start to live my true path and I know I will be supported in the process by life. Yvonne provides such a safe, supportive and loving role in the process and can meet and support each persons individual process and personality. I attended the Inner Strength Discovery Day workshop in May 2016. I was immediately intrigued by the deep peace I felt at the outset as we talked about what inner strength meant to us. My interest was piqued by the fact that two people brought exactly the same poem. It’s meaning and power being somehow strengthened by the coincidence. It was liberating to explore the possibilities that lay in ‘simply being’. To uncover the many secrets that our bodies hold and to explore the insights that are available to us. A very worthwhile, meaningful day. I would recommend it to anyone who has a curiosity to explore the many and varied nuances that this precious life holds for us. I was Lost and Now I am Found…. Within the first ten minutes of this course I realised I had found my connection in life. Everything finally made sense all my experiences and traumas had led me here and had to happen to finally pull all the pieces of my jigsaw of life together. I found whom I really am and how to connect with myself truly. The 3 days with Yvonne in her wonderful and homely facility opened me up in a safe, loving and true environment to finally find the tools I had been searching for all my life. I have spent years at yoga, mediation, mindfulness. I have even explored counselling and life coaching in various settings mainly in rooms that were confined or clinical all with little relevance to really finding who you truly are. IN these cases I would find myself raw or exposed afterwards and even lost. This type of work with Yvonne allowed you to explore and build on your exercises in life simulation situations with the horses and the environment. The whole process is conducted in a pure compassionate environment where one felt safe to open up and nurtured to heal. The whole process made everything easy. The tools I learned will no doubt help me be a better person a better mother, partner, leader, friend. I could right a novel on all the wonderful experiences I had over the weekend. It was exhilarating and fun where I found my true spirit of my soul and finally freed myself from the shackle of my mind and body. A week on since the course I have found it has made huge impact in my life for the better and ever so simply to engage. I learned to love myself and accept myself and others. The biggest impact this week has been with my partner and my child. This is a great start and will empower everything I do now for the future. 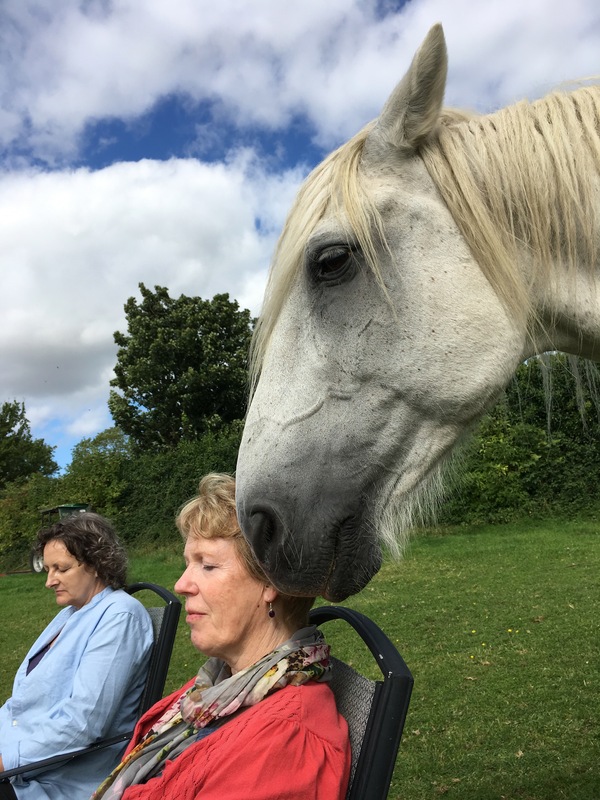 I attended a three day workshop with Yvonne, I wasn’t really certain of what to expect… I was over whelmed by the welcoming, relaxed atmosphere, the abundance of delicious home made food, the beautiful setting and of course the gorgeous horses. I learned a lot about myself over the 3 days and some really beneficial skills to work with in my everyday life. 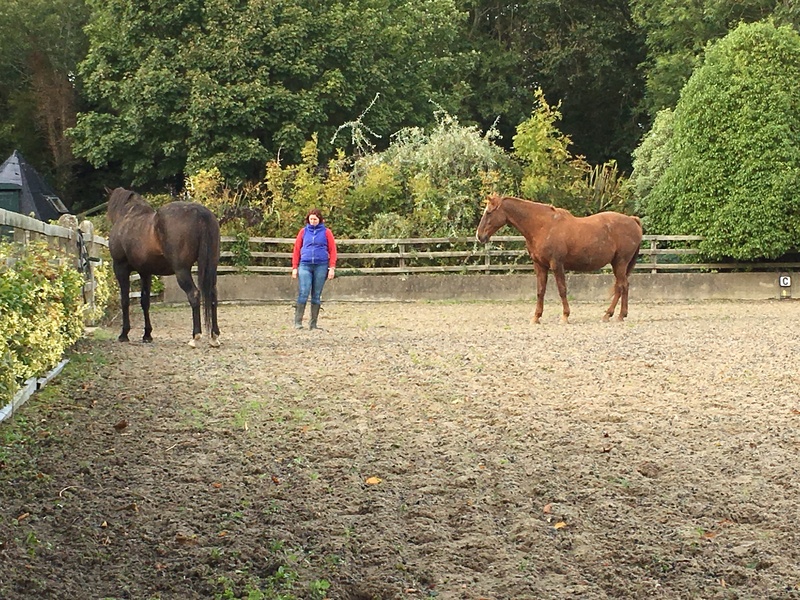 I would highly recommend anyone to attended a workshop with Yvonne, both her and her herd of horses are great facilitators and teachers. 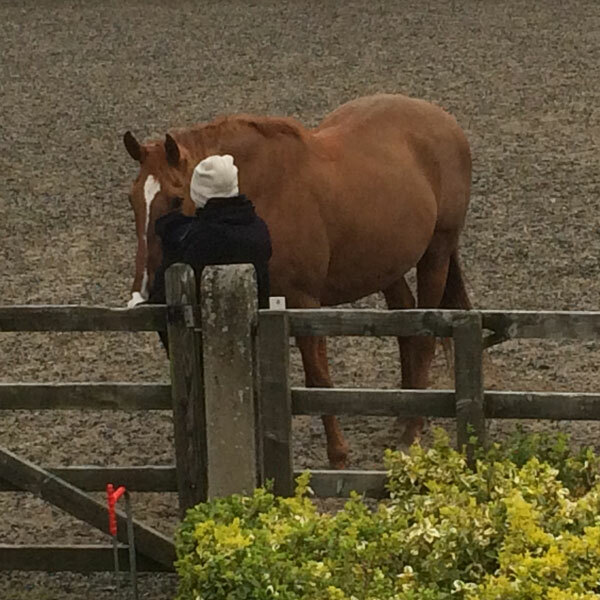 Two fabulous teachers, a wonderful herd of 10 horses and a lovely place at the Seaside. For harmony in relationship it does not need any words – it is the space between, where you understand yourself and the others. In the silence you can feel/experience the strong connection – your own soul as well as to the others around you. With gratitude I look back to many beautiful experiences with the horses. One experience, which I enjoyed very much was the time being in the herd, simply present and with an open heart. In this moment I felt the strong connection to all around me with the knowledge – I am a part of them. There was no difference between human and animal – just a lovely communication from soul to soul, with a lot of healing within. This was one of many experiences, where Yvonne and Rosie guided us through. They held the powerful energy of the group, gave each participant support and freedom in experiencing this connection with the horses in a joyful way. 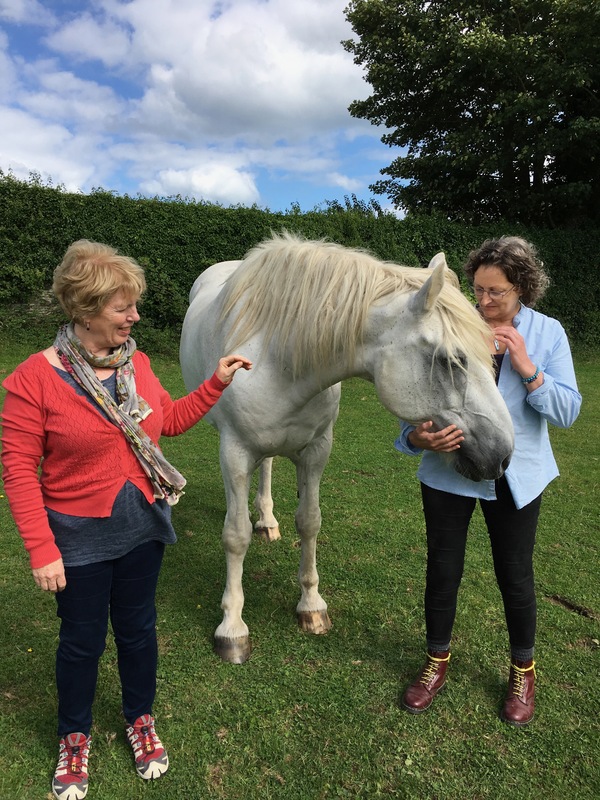 Both, Yvonne and Rosie, were always aware of the needs of the participants and the horses and have shown us respectively let us experiencing the power of intention with clear boundaries and trust. 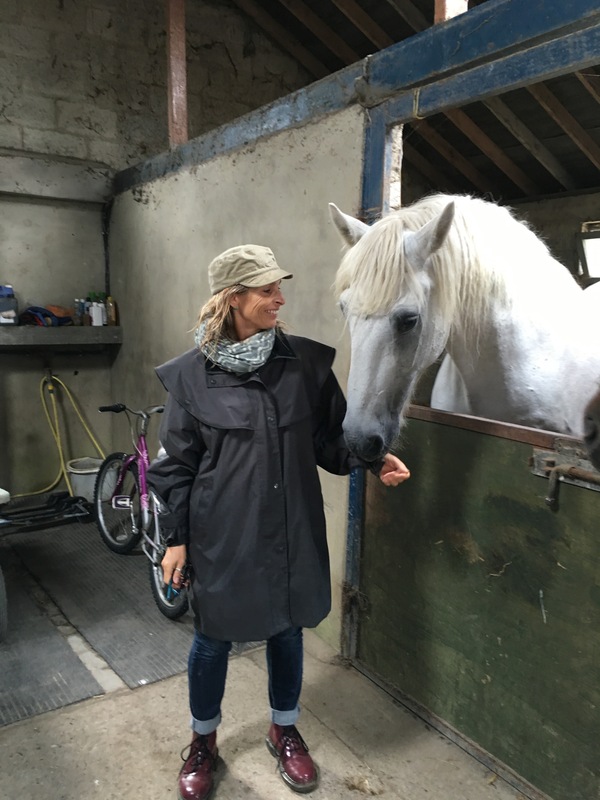 According to all of my experiences with horses I know they are great teachers in listening, feeling and allowing our emotions, which guide us to our personal pathway and our uniqueness. This was my third Epona introductory workshop (and the second one at Yvonne’s place), and I was concerned that I may be disappointed and not learn as much as I had on the first ones, but it turned out the opposite. “Rogerstown House” is a wonderful venue for such workshops. It is so peaceful and beautiful that it is easy to forget that it’s only 10 miles from Dublin airport. Yvonne’s horses are a happy bunch, safe, happy to engage with humans, and are all very good at their job (in some case impressively so!). Yvonne herself is exceptionally generous and welcoming. Rosie, who I had never worked with before, proved to be a very competent teacher, and her clear presentation of the Epona approach (which I was already familiar with, having read Linda Kohanov’s books) shed new light on some of the key Epona concepts and encouraged me to put them in practice. Yvonne and Rosie’s partnership seemed to work well, and their style of facilitation encouraged trust and open participation from all of us. Add to this a great mix of horse people from all over Europe, and it’s no wonder that this was a truly inspiring workshop. It seems quite hard to write a resumé in a few sentences what I experienced through this workshop : It was both a deep work on my inner self and a deep dive into life. Not only an intense work on my feelings, my beliefs (true or false) and my deepest emotions, but also a great (re)connection with others, humankind and my own humanity. The exercises with the horses lead you to a real and strong connection to yourself and the whole, and enhance the heart qualities through joy and authenticity which you feel all at once. I’ve never felt so authentic and safe with people I didn’t even know a few days before. The 3 days we spent together were tinged with attention, empathic listening and a great spirituality. I don’t know how it happened but it worked ! I wasn’t particularly – or I thought so before doing the workshop – concerned by harmony in relationship. I thought it was not my priority on my personal and professional development. In fact, this workshop appeared to be essential and a very crucial issue. Being reconnected with humankind and my own humanity helps me to find out who I am. Horses are incredibly powerful to lead you being authentic, present, focused and aware of the whole at the same time. They can open your heart and make your mind be quiet. I do believe that something magical happened in the warmth and gentleness of Yvonne’s place, and the serenity every one could feel. Thanks to Yvonne for a beautiful poems, so inspiring, and the awareness and strong experience Rosie gave us. It was a very enlightened moment and experience I believe we all shared. It was also a great opportunity to meet other fantastic people, gathered for different reasons but sharing the same search of authenticity and humanity through horses. We all could never come and live this experience, but we all came. I don’t believe in coincidences, instead I believe in synchronicity. The work we did with Rosie, Yvonne and the horses gave me tools I still use everyday and help me remain in authenticity and consciousness. I practice a body scan often and especially when I feel strong emotions or if I feel over reacting ; sometimes I find an answer, sometimes it’s not so obvious, but in any case it helps to get back to my inner being, to consciousness. Back home, I feel more aware of the things and beings around me ; better organised and focused on my aims, more present to myself…and a better leader for the herd, which can feel it too, I believe ! They all recognise the boundaries I set up through the workshop, without really being conscious I had. Horses never lie. Neither your energy ! 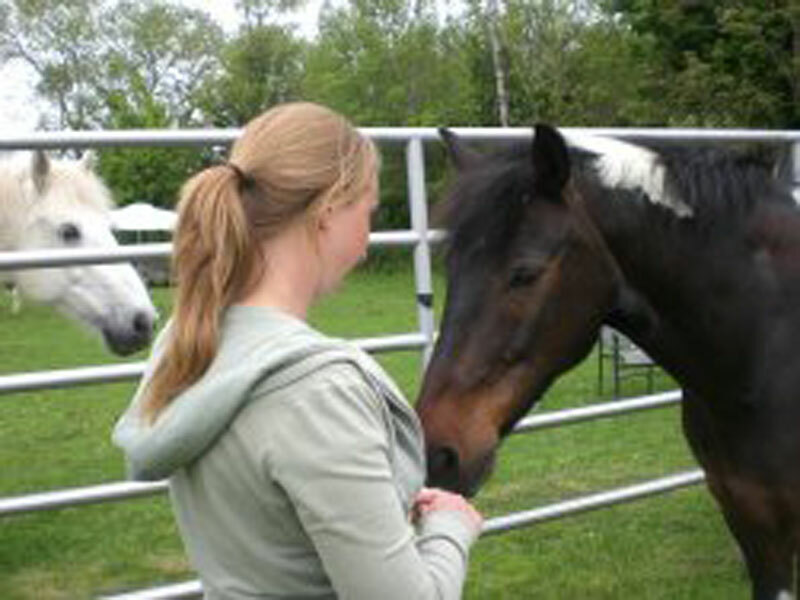 Horses make you be aware of your emotions, your false beliefs about yourself or others, or what others think of you. They make you focus on your vulnerability, your lack of confidence, the strength of your commitment, the efficiency –or-not – of your boundaries… The enlightenment of Rosie and Yvonne helped me to get it into words and consciousness. I still carry the feeling that I belong to the whole, I am part of it, as Diego, the beautiful near dark horse told me. He gave me such an experience of joy and serenity, rooted in that feeling of membership , grounded and light at the same time. I learnt a great lesson then and gain a new but strong conviction that everything is possible as long as I believe so and am true to my feelings. Everything comes from the heart and Diego made it beat stronger. We had a beautiful dance together and it is part of me now, especially when doubts or laziness try to overwhelm me…. With so many thanks to you both. First of all, Yvonnes home is a fairytale place at the seaside, an old house with a fireplace to sit around, huge pastures and large trees, inhabited by fairies. A place full of spirit and love. Yvonne and her five horses showed us participants, that Linda Kohanovs books are not just words. I came across Lindas books a year ago and have been fascinated since. 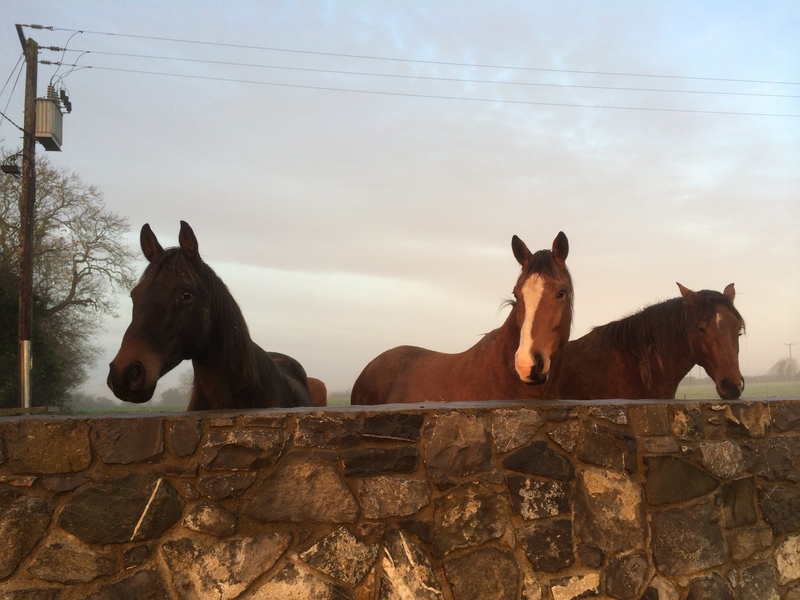 Yvonne’s horses are personalities, each different, each strongly responding. One of the amazing experiences I made was that horses love to do this work. They are spirtual creatures and they love to take you on a path together with them. But you have to be with them, the experience is a lot more than written words. Yvonne was a great guide, never pushy, always awake. 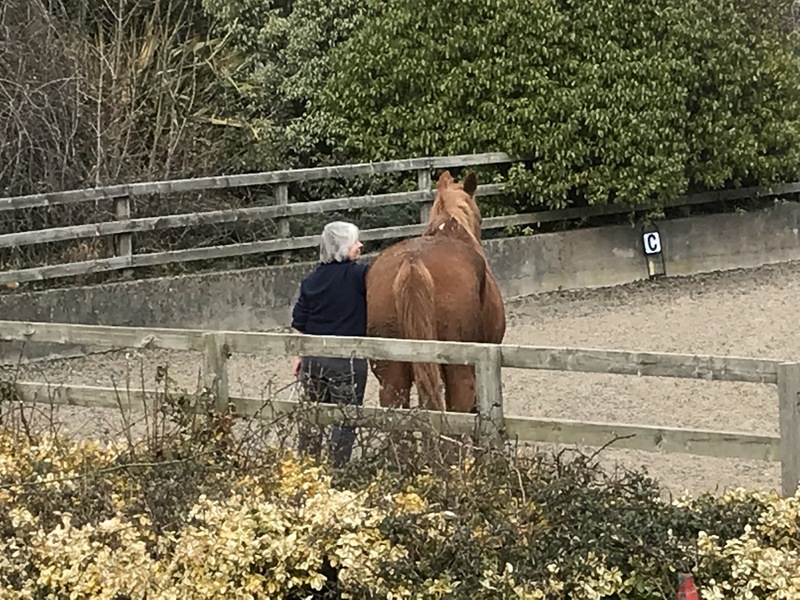 Yvonne’s mare Belle showed me, that putting a distance between her and me is not losing connection, but maybe the right thing to find it. Cisco, a sophisticated paint gelding, revealed his healing powers to me. He made me cry by showing me, that he is here to help and support me, and that it is a natural joy for him and can be for me, if I allow it. The experience lies back four months now – but it is still very vivid. It has enhanced my creativity and the authenticity with which I lead my life. It has improved my relationship with my Arabian mare Tinnia and the fun we have together. I will be back for more. A two-day workshop with Yvonne and Shelley was food for the soul; a warm caring atmosphere with a bunch of kind, sincere people (there were eight of us). Each of us had our own hang-ups and doubts, but throughout the weekend, we were all illuminated, encouraged and supported by Yvonne and Shelley, and thanks to our interaction with Yvonne’s beautiful horses, we all gained a better understanding of the human psyche and how fragile we all are! I think we all left feeling on top of the world, and much better people too! The two days flew by, the food was delicious and the company was the best (human, equine, feline and canine!!). Looking forward to the next! 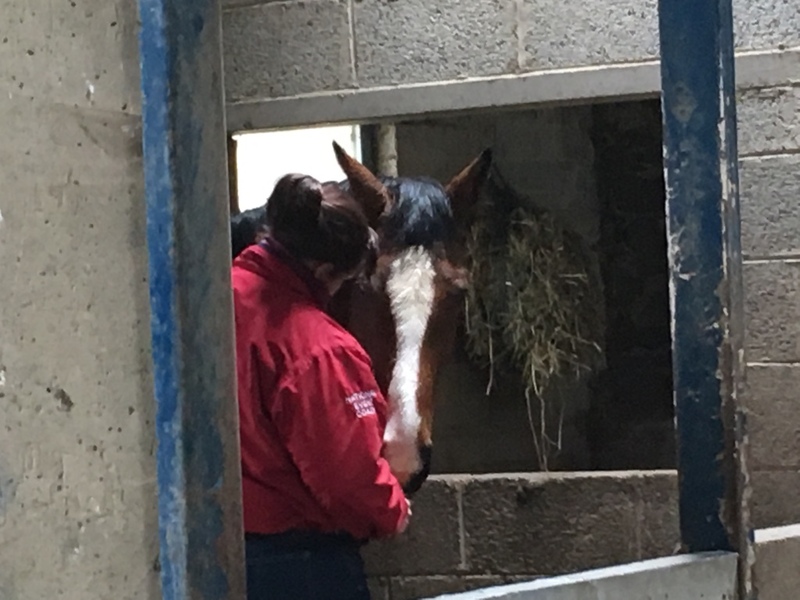 The atmosphere Yvonne and Jan have created at Rogerstown House, with the horses and for us in the workshop is beautiful and has made the experience very special. The build up and set up are very professional as well as very spiritual and they have made it possible to have an experience which has truly given me new insight in the horse world and the powers horses have. It is a very individual experience; we each got different but equally beautiful new insights from the horses. I felt that the atmosphere of the surroundings and the group gave a beautiful energy that enabled it all to happen so quickly. It is an experience I will never forget and I think when it has all sunk in it will have taught me an extra dimension of receiving valuable information about myself and about the horses around me. Experiencing is so much better than reading, feeling the truth is so much better than hearing about it and believing it. Feeling is truth, understanding is knowledge. This is what’s so great about the course, it offers hands on experience to feel emotions and shows you how you can handle them. 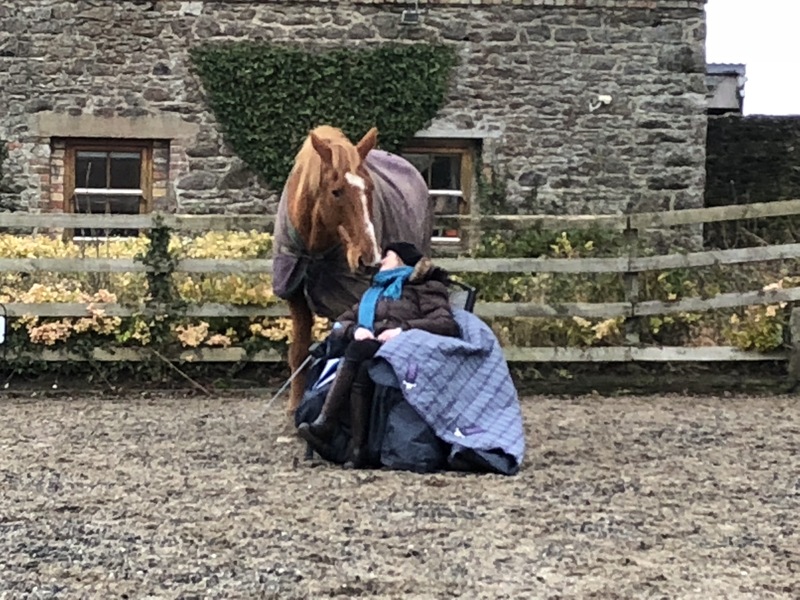 Horses play a key role because you cannot lie to them, but maybe even more important, they keep you on the ground and remember everyone to the fact we’re dealing with life in this course. The thing that had a huge impact on me was that you can have a horse as a friend, before this course I would never have imagined that friendship is a universal reality. Thanks everybody who attended the course (horse and human alike), I grew because of you. 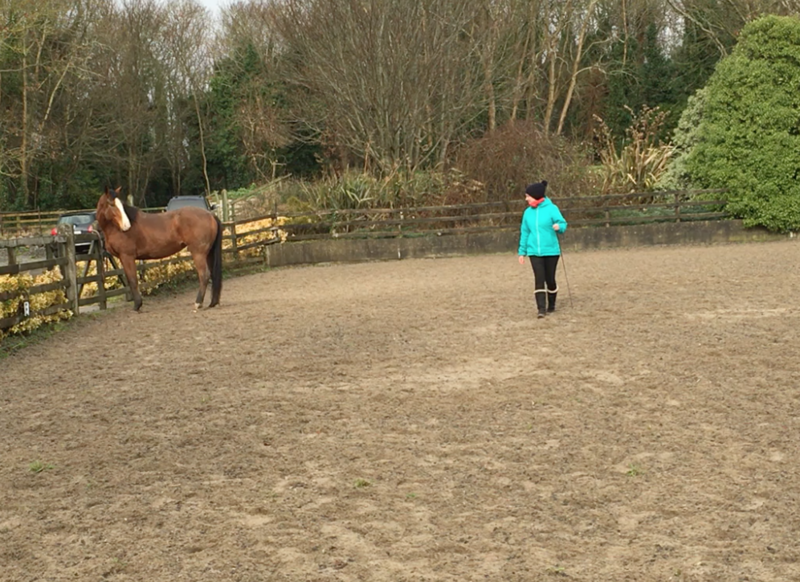 Unsure of what to expect, having no previous experience of horses, I came to this workshop with an open mind. I found it to be a most enjoyable and rewarding experience. 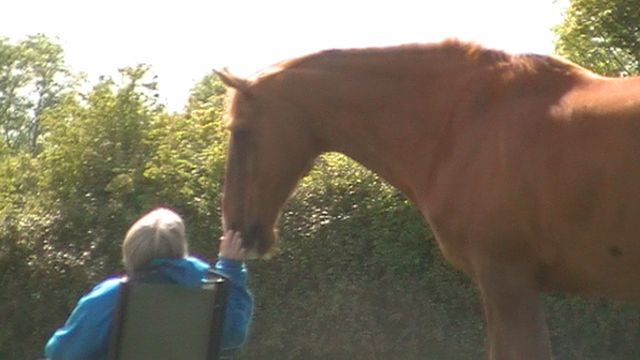 We explored the area of human emotions (always a difficult one) together with energy boundaries, both human and equine. The workshop was conducted in a most professional and sensitive way, at all times respecting the dignity and privacy of all concerned. This course is a must for anyone interested in healing their emotions, letting go of their past conditioning, and moving forward in a more emotionally balanced way. I was brought up on a farm in the 50’s when the horse was a very important animal for farm work. 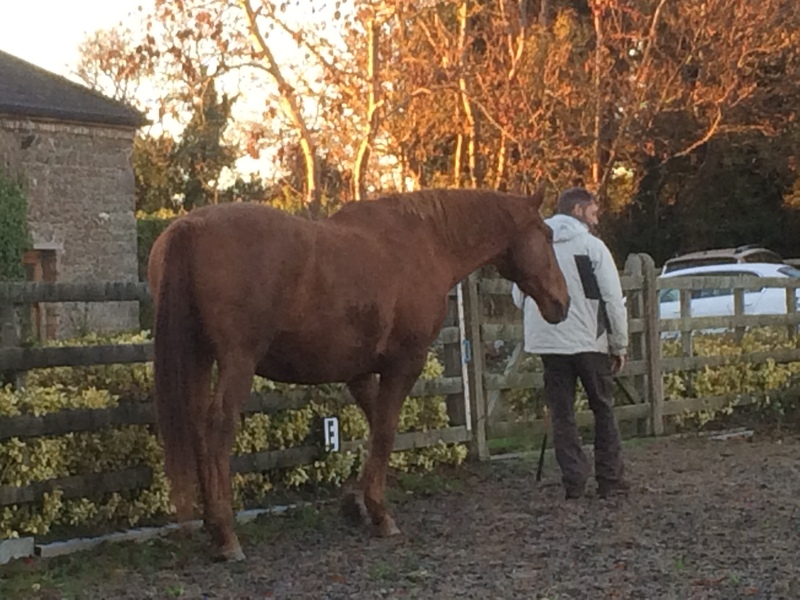 The equine experience I’ve just had is completely new ground for me. I arrived at Rogerstown House on August 18th at 9.30am, was welcomed by Jan and entered what is best described as a capsule of peace. The atmosphere in the house was that peaceful, calm, welcoming, serene sort of presence everywhere. A perfect setting for what happened that day and the next. The day started with tea, coffee, herbal teas, healthy coarse ground brown bread with butter and homemade jams. This took place sitting around a large table in the family room, nine of us, 7 participants and 2 facilitators. We returned to this table later for a healthy lunch and this same table bore healthy snacks for between meals if needed, body nourished at all times! After breakfast we adjourned to a large sitting room, open fire, comfortable chairs, to be guided by our efficient focused facilitators Yvonne and Jan. The two days were such a new inspiring and therapeutic journey for me. My respect for the horse was always there, but I now meet this majestic animal at an emotional level, what an experience! This creature understands my emotions, sees through me, and doesn’t allow me to mask my feelings, what next I must find out. 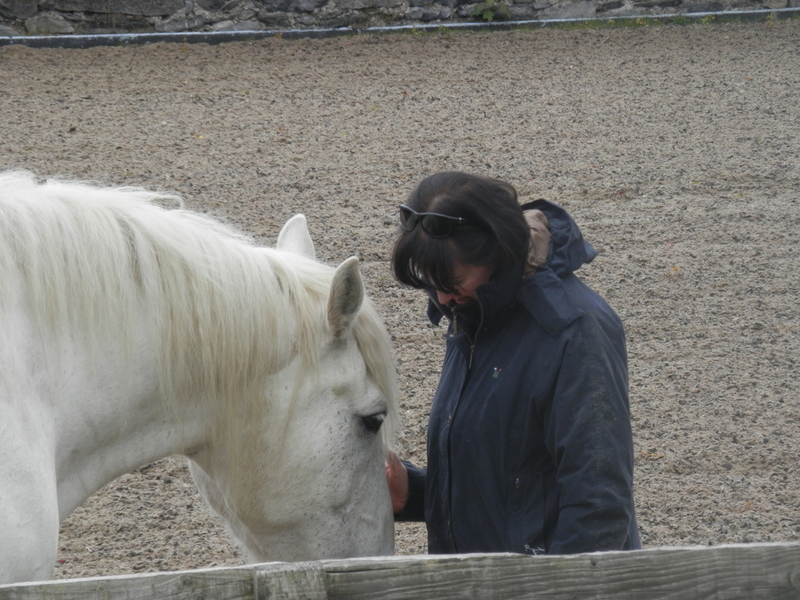 Over the course of the two days I spent time with the horses, I observing them and them observing me and was able to spend time with the horse of my choice, beautiful calm reflective Jimmy. Thanks to our facilitators, Yvonne and Jan who led us through discussions about personal boundaries, emotional intelligence, our emotions and how to gain information from them, to the ultimate end of becoming our authentic self. Thanks to the young people who helped with the food and in the stables. No experiences are so good, no knowledge was better, communication with that majestic animal was so good for the soul! I, Emily Kilgariff am in a calmer place with myself, one week later I am still there, thanks again to all who brought me there. From the moment I arrived, I was made to feel so very welcome. There was a true sense of coming home. But it was more than a physical home, this was a coming home to myself, a gentle returning to emotions that I had not listened too in quite a while. All the while feeling held, held in the way you would swallow a child in your arms. Held, not only by Yvonne and Edel, but also by the horses. Now I can visit those emotions, those rooms in my castle, not with fear but with acceptance, gentleness and love. I participated in a two day course based on the above theory under the tutelage of Yvonne Monahan and Jan. 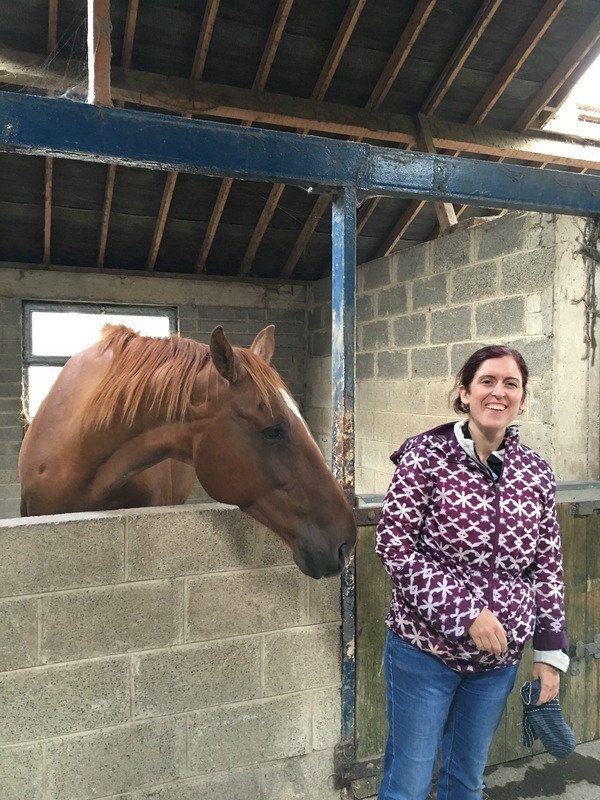 I recently became interested in Equine Facilitated Experiential Learning mainly due to the fact that I have always had an interest in horses and I am involved in education on a daily basis – I’m a mainstream primary teacher. However one does not need to have any knowledge of the horse to participate in the course. Also like most people I tend to feel stressed with the modern day workload and balancing act of children, work, family, house and self – in that order! I happened to see a pamphlet on the course and some of the material caught my eye. It also fitted in very well theoretically with my work and lots of ideas from the self-help reading that is around nowadays. I almost felt relaxed reading the brochure with its emphasis on reconnecting to nature and the linking (almost spiritually?) with the horse in this case. The course was held in Rogerstown House and this is a beautiful stately but homely place where the food was excellent and we were greeted with an open fire (an authentic one – not gas or what have you!) Another positive I felt was that the numbers attending were kept low and this facilitated more openness. The two course givers were warm intuitive people aiding people get in touch with their feelings without the usual big wooden desk that tends to separate. No knowledge of the horse was required and the work was all done from the ground. We visited the horses and spent time just being and letting feelings and emotions come up as they wanted. There wasn’t really and agenda. Nobody was under pressure to disclose their thoughts or feelings but in general everyone felt comfortable to talk, discuss and give feedback to others on whatever came up. Participants were able to choose their horse partner and even that choice apparently said something! Or maybe the horses chose us!? There was great detail on the explanation of emotions, how they might look, what they might mask and how one could deal with them which I thought was very well done. I learned that everything means something. If you do something it means something and if you don’t do something that also tells you a lot about yourself! 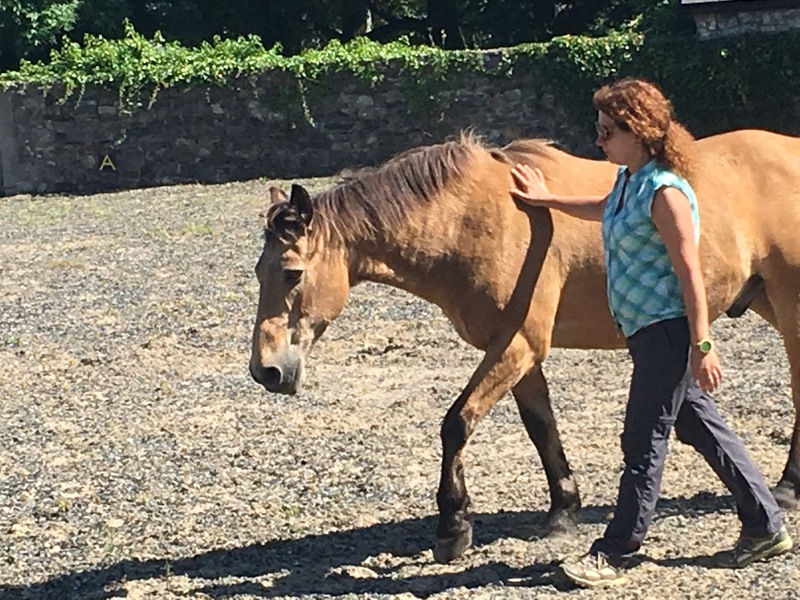 I have attended a few seminars, before this course, on the use of the horse as a partner in therapeutic fields more from an angle of how I could be involved or employ the horse to help children with special needs. This course was showing me the actual practice of it with me as the learner, patient, student whatever and I learned a lot more as it was activity based and you could feel it not just theorise about it. There was feedback from Yvonne about a week later which I thought was very thoughtful and professional and one was left with the impression that you could pick up the phone and chat if you ever needed to. I would thoroughly recommend this course to people – it provides an open forum for the discussion of emotions, feelings and the ability to relax that is hard to find in the modern society.